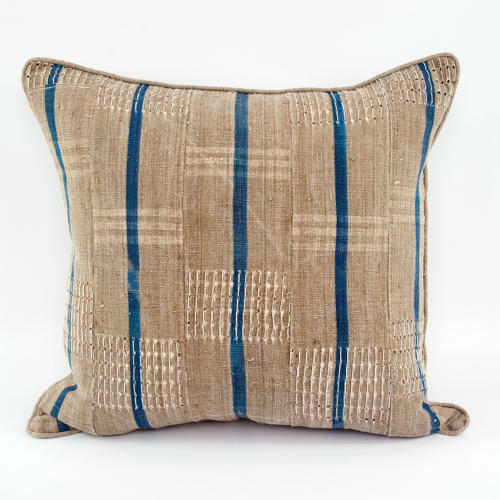 These cushions are made from a vintage aso oke originating from the Yoruba ethnic group in West Africa. The textile is made from homespun cotton and wild silk in stripweave. The strips also have decorative openwork and floating supplementary weft stitching. They are backed with natural vintage hemp, have piped edges, zip closure and feather pads.